We began as a small group of community members who recognized the need for a school that would provide a high-quality, college preparatory education to students who were assigned to failing public schools in Charleston. We developed the idea for our Flagship school, Meeting Street Academy Charleston, as a result of the belief that a child’s zip code should not determine his or her educational opportunities. Meeting Street Schools’ (MSS) founding members met with then Mayor, Joseph P. Riley, to discuss the concept of Meeting Street Academy. Mayor Riley was so inspired by the school’s premise and potential benefit to the Charleston community that he began working to secure a site for our flagship school. We welcomed our first group of students to come and learn with us at MSA-Charleston, then located at 1156 King Street. Our teachers and staff provided education and support to 45 preschoolers (PK3 & PK4) and their families. The City of Charleston generously leased/donated land at 642 Meeting Street (corner of Meeting and Cool Blow Streets) for the future site of MSA-Charleston. Our first kindergarten class graduated! All students entered first grade with the ability to read grade-level and above grade-level texts. South Carolina Gubernatorial Candidate Nikki Haley, (elected Governor in November the same year) , visited MSA-Charleston and launched the education platform of her campaign from our site. Visitors from various parts of South Carolina came to visit us at MSA-Charleston to get a first-hand look at our learning environment, already generating impressive results with our students. One of these visitors was inspired to propose a partnership with MSA-Charleston to develop a second Meeting Street Academy in Spartanburg, SC. Groundbreaking at the site of MSA-Charleston’s current location, 642 Meeting Street, began with Mayor Joseph P. Riley serving as Master of Ceremonies. U.S. Congressman Tim Scott visited MSA–Charleston and inspired our students and families with the story of his upbringing. Congressman Scott stressed the critical importance of education on the path to becoming a leader in the community. MSA-Charleston hosted a ribbon cutting ceremony at the newly completed 642 Meeting Street location. Governor Nikki Haley, Former Mayor Joseph P. Riley and State Superintendent of Education Mick Zais participated in the event and celebrated the accomplishments of Meeting Street Academy-Charleston students and teachers. Meeting Street Schools celebrated the opening of its second school in Spartanburg, SC: MSA-Spartanburg. Meeting Street Schools founder, Ben Navarro, participated in TEDxCharleston, inspiring the Charleston community and beyond by sharing the Meeting Street Academy story and how academic success is possible for children from all backgrounds. Meeting Street Schools opened Meeting Street Elementary @Brentwood with the Charleston County School District, the first public-private educational partnership of its kind in South Carolina. We celebrated the first graduating 5th grade class at Meeting Street Academy-Charleston! We began Phase 2 construction at Meeting Street Academy-Charleston’s main campus. Additional classrooms were built to accommodate more students in the downtown Charleston. We entered a public-private partnership agreement with District 7 in Spartanburg. We opened our Spartanburg location as a public school, serving students in a newly created attendance zone. We completed Phase 2 construction at Meeting Street Academy-Charleston. 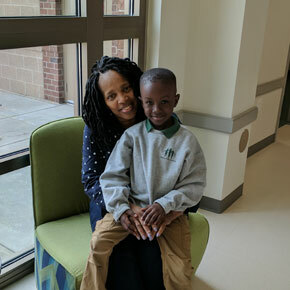 Meeting Street Elementary @ Brentwood celebrated the opening of a first-of-its kind clinic on campus, thanks to a partnership with the Medical University of South Carolina. MSE@B’s school-based clinic has a full-time nurse practitioner on staff who can diagnose conditions, write prescriptions and order X-rays and lab work as needed. A pediatrician is available to see patients once a week. The clinic is designed to meet students where they are by providing them with quality healthcare when they need it, without their parents having to worry about arranging transportation or taking off work. School-based health has been proven to increase academic performance and positively impact student health outcomes. We are grateful for our partnership with MUSC and this amazing opportunity to improve the lives of our students and families. "MSA is the best educational opportunity for my Grandson, Domineke."